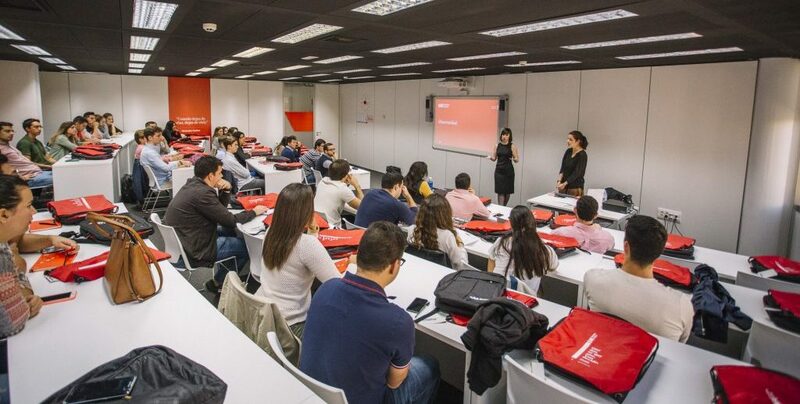 EAE Business School launches its first Summer School, in its Barcelona Campus, that will focus on into the Design Thinking methodology. The program is aimed at undergraduate and recent graduate students from any area of studies who are interested in Innovation & Creativity and are keen to explore a practical method to find new solutions to old problems. The program lasts two weeks and takes place in Barcelona on 1 – 12 July 2019. Design thinking is a well-known innovation methodology, developed at Stanford University and IDEO agency. This human-centred approach to innovation and problem solving has been successfully applied in different business contexts. Design Thinking means taking a new point of view and a new perspective in order to find opportunities to improve where others just see a claim. It doesn’t matter if it is a product, services or process. VUCA context (Volatility, Uncertainty, Complexity, and Ambiguity) and competitive pressure force companies to differentiate their products and services to stand out in the market. Nowadays, innovation is a must. A recent report by the Boston Consulting Group stated that innovation is a key concern of general managers. The same report showed that CEOs think that their staff lacks the knowledge and skills necessary to successfully put an innovation strategy into action. This program focuses on bridging this professional gap. The goal of this program is to create highly skilled innovation experts that can use conceptual and practical tools to successfully develop innovation processes for companies, using a Design Thinking approach. Participants will also learn to understand customers using empathy techniques, identify unmet needs, develop their creativity and use it to solve real-world business problems. They will realize their potential as innovation experts and will improve their response in the face of risk, error and uncertainty. During the EAE Summer School program, the Design Thinking process is developed through five steps: a) getting the empathy of the end users to test the new prototypes of product idea, services or processes through observation, empathy interviews, immersion techniques or exploring on the net; b) avoid validating pre-existing ideas; c) discover your own barriers when thinking about new ideas; d) practice the reformulation of ideas once the problems reoccur; and e) learn the importance of devising prototypes and communicating ideas to improve them continuously. Networking among participants will be also a key activity within the program. The program will be held in Barcelona, an economic hub and leader in areas such as biotechnology and other strategic sectors such as ICT or sustainable mobility. It is the fifth-ranked European city for the number of startup companies. For example, Barcelona hosts the Mobile World Congress which is the world’s largest exhibition for the mobile industry. EAE Business School is an International Business School founded in 1958, specializing in management, with campuses in Barcelona and Madrid. Throughout its more than 60 years of history, EAE has trained more than 73,000 managers and professionals from more than 100 nationalities spanning five continents. EAE Business School is highlighted in the main international rankings such as QS, Bloomberg, the Latin Americans, América Economía and CNN Expansión.